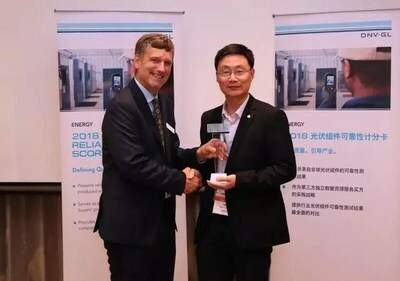 SHANGHAI, June 1, 2018 /PRNewswire/ — GCL System Integration (SZ: 002506) (GCL-SI) has been selected as the best module manufacturer by DNV GL, a global quality assurance and risk management company, due to its outstanding performance in module manufacturing and product reliability. 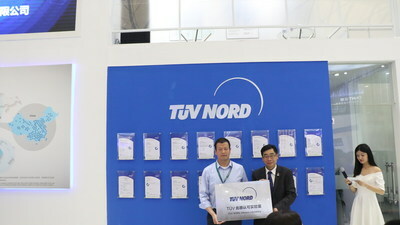 In addition, GCL-SI’s PV product testing center has obtained accreditation from TUV Nord, affirming its advanced quality management system and excellent testing technology. These recognitions follow GCL-SI receiving PVEL product certification and winning top module manufacturer honors from DNV GL in 2017. Covering an area of 3,000m2, GCL-SI’s Photovoltaic Testing Center (“the Center”) was established in February 2016 in Zhangjiagang, GCL-SI’s largest integrated module production base. Consisting of more than 30 large pieces of testing equipment, more than 20 handheld precision measuring instruments, and 50 small testing devices, the Center’s is capable of covering the test sequences specified in the major standards of the photovoltaic industry such as the new IEC 61215, IEC 61730, and UL 1703. A CNAS-accredited photovoltaic testing laboratory, the Center has a total of 55 approved testing items, making it the most comprehensive test center among PV company laboratories, with the most comprehensive standards. GCL-SI’s laboratories will be able to carry out IEC photovoltaic product certification tests in-house, which will increase testing efficiency while also reducing the cost and shortening the cycle of certification. The highly-efficient product R&D that GCL-SI continuously works on has created a product ecology of optimal efficiency and comprehensive technology. It has helped create a mono- and multi-product portfolio that can effectively boost the company’s market share. GCL-SI currently has a 6GW module manufacturing capacity, and has announced 4 new ultra-efficient 300W+ mono- and multi-series products. Among them, the single glass series MBB polycrystalline module has a mass production power of 305W, which is the most efficient regular polycrystalline module in the world. The power of the monocrystalline module also reaches 315W, which is 10W higher than that of the Application Front-Runner projects. GCL System Integration Technology Co., Ltd. (SZ: 002506) (GCL-SI), is part of the GOLDEN CONCORD Group (GCL). GCL-SI delivers a one-stop, cutting-edge, integrated energy system and is committed to becoming the world’s leading solar energy company.